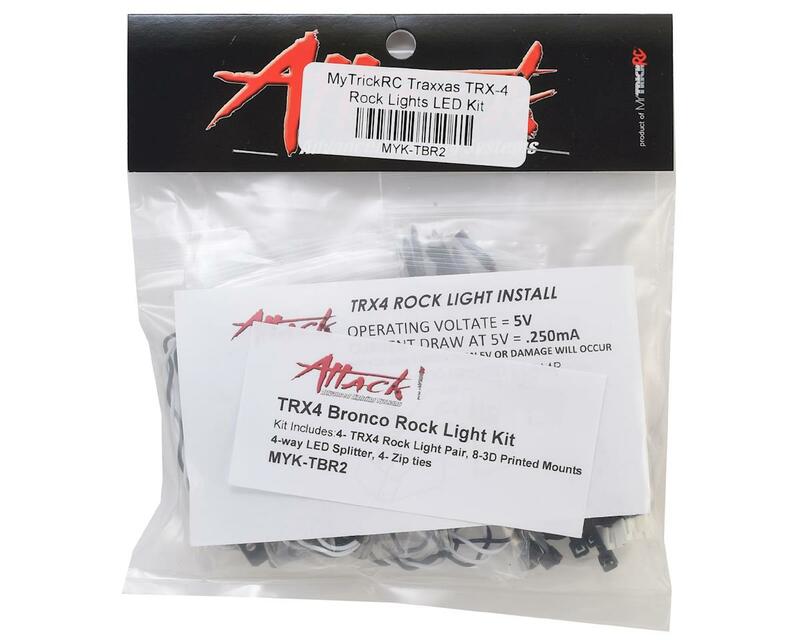 The MyTrickRC Traxxas TRX-4 Bronco Rock Light LED Kit will give you the lights and brackets you need to illuminate the wheel wells in your TRX4 Bronco! Adding both safety and performance, these TRX4 Rock Lights are designed to direct fit the TRX4 Bronco inner fenders with no modification required. 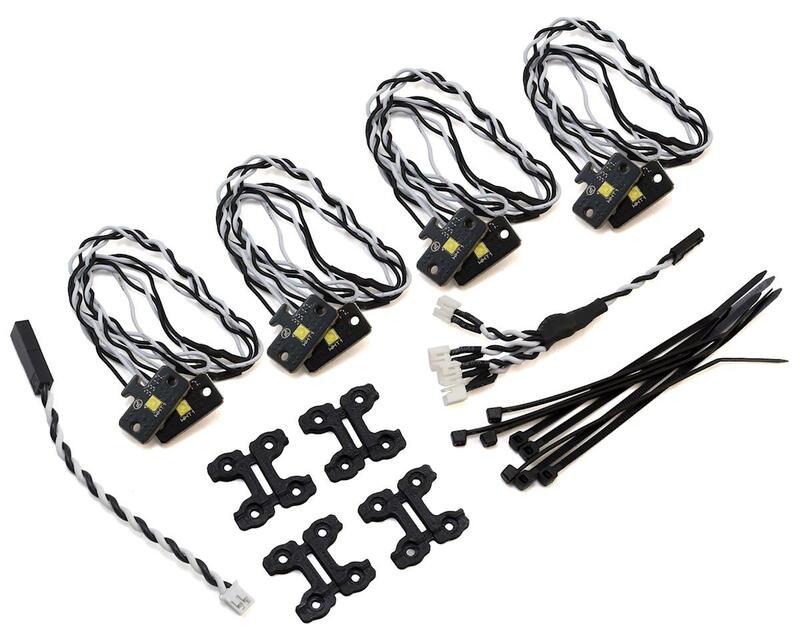 These lights are DG-1 system compatible and help to make it easier to go crawling on the darkest of nights. NOTE: This Rock Light Kit is designed to fit the Bronco body. MyTrickRC does not recommend using this on the Tactical or Defender body.